So what do you get when you take two Megs, Huff it up with Joy, and mix in a Yoo? You, my friend, get some of the best summer (or anytime) reading you will ever find. 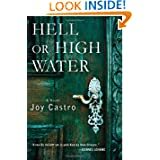 I am so proud to say I know each of these amazing, award-winning authors: Meg Kearney, Meg Tuite, Steven Huff, Joy Castro, and David Yoo. I don’t know how I got so lucky to get in close to these talented people, but I did. If you love to read, please keep reading this post to learn more about their books and other works available to you now or soon this summer. Now for two very talented and funny men…. First, Steven Huff, author of poetry and prose, whose book of flash fiction, A Pig in Paris, helped me to survive a recent 5-hour delay at the ludicrous and horrifying Penn Station. Steve’s short fiction is a showcase for the ludicrous and horrifying – as well as the hilarious irony of our everyday lives. He is a born storyteller and his understated delivery is second to none. For those who love a good story, especially those stories where life is awkwardly and charmingly off-kilter, read A Pig in Paris. For those of you who love poetry, well, Steve has plenty of that to share, too. Check out More Daring Escapes, due out this fall. Meg Kearney, Steven Huff, Joy Castro, and David Yoo will all be at the July 2012 residency of the Solstice MFA Program of Pine Manor College, so if you have the time, check the schedule to attend free and wonderful readings. 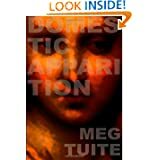 To check out Meg Tuite’s reading schedule, as well as her numerous publications, please see her blog at http://megtuite.wordpress.com/ or her website, www.megtuite.com. 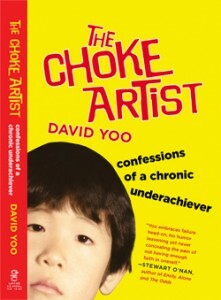 For me as a writer, 2012 has been a bad publishing year, with rejection after rejection coming my way. The five authors I’ve just highlighted make me want to trouper on. They are each uniquely gifted. I feel lucky to know them personally and through their writing. Thank you to each. Well done, Cindy! So gad to be a member of this club–pretty heady! Thank you so much for reading, Faye!